Anyone who has children knows we have raised a nation of digitally-savvy kids. You cannot communicate with an audience today without effective interaction, and visual technology. Good design and graphics allow for a return to our visual roots. Visual storytelling promotes big picture thinking. 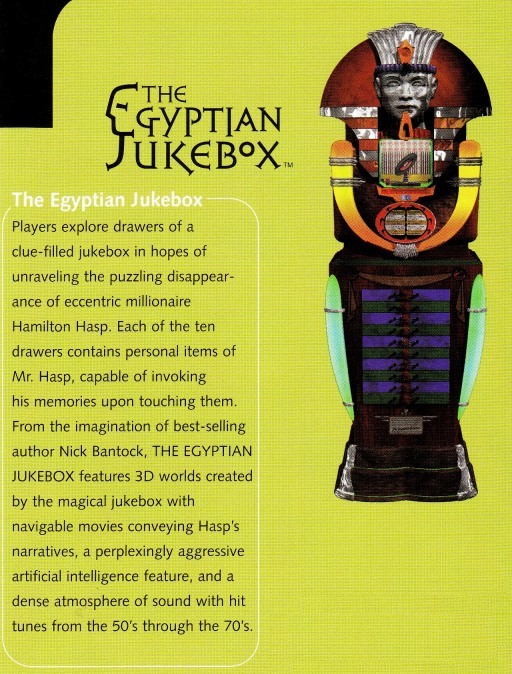 Below is a promotional image of the CD-ROM Game The Egyptian Jukebox, based on the book of the same name by Nick Bantock. I was hired by Bill Morgan (Exec. Producer of 500 Nations) as a line producer with oversight on the game design. The product was to be released by Warner Brothers, however, they chose not to complete the project.